A healthy lifestyle starts from within! Our nutrition guidelines assist in helping our clients achieve their fitness and wellness goals through a sustainable, easy to follow system. We break down your macros with you at your initial assessment and educate you on foods that you should consume and the proper amounts to consume to reach your goals! Our specialists will work with you to develop a plan that will assist with weight management, increasing energy levels, boosting metabolism, and fueling your muscles for improved performance! We are proud to have a Precision Certified Nutrition Coach on the Fit Club team, Olufemi Sonubi. Precision is the system the pros turn to. 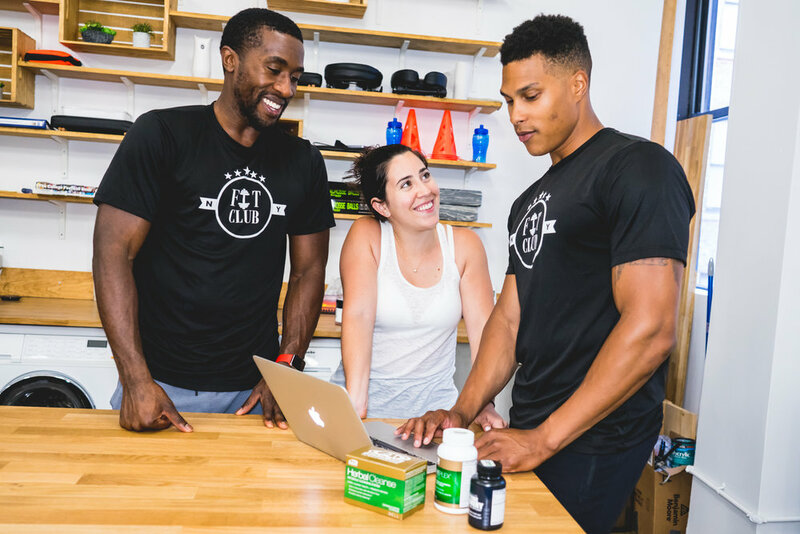 With 20+ years working with everyone from Olympic gold medalists, to NFL, NBA, UFC, and NHL athletes, to recreational exercisers, to Fortune 100 companies like Apple and Nike. Book your initial consultation with a Fit Club nutrition specialist online or call us at 646-875-8348. We will schedule your first appointment within 24-48 hours!